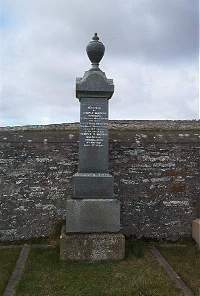 Erected by Temple Mackay Dunbeath in loving memory of his wife. Williamena Macbeath died 4th October 1932 aged 62. Husband Temple S Mackay died at Coolhill Keiss 9th May 1951 aged 77.